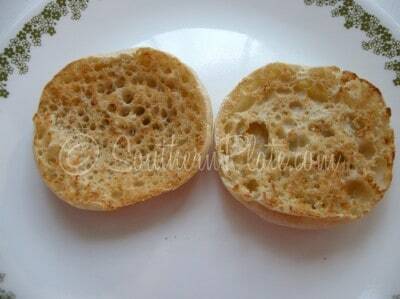 2 Minute English Muffin Breakfast – I Want To Raise My Kids In A Barn! I want to live in a barn. I always have. Don’t get my wrong, I dearly love Bountiful (and have already dug in my heels and hung my heart on the wall ), but I have this dream of finding an old barn and completely remodeling it into a big old house, with heavy oak beams and polished wood floors. The outside would have to be red, barn red to be exact, and I’d likely have someone paint “SEE ROCK CITY” on one side of the roof as a nod to where I’m from. I’d have a big old southern style front porch going all the way around it with white railings and rocking chairs, lush green ferns hanging at regular intervals. I’d have the original doors fashioned into sliding ones and paint their little support beams a contrasting white. We’d fix a new door on the sides, traditionally sized with a screen that had a wooden frame and spring so it would bang a few times whenever anyone shut it. Of course, it would have to be atop a hill so that the sun hit it just right every morning and silhouetted it against the sky. And it would have to be int he South, because I can’t leave my homeland and I want the grass to be always green for my little view atop the hill. Just think of the fun we’d have, especially the kids. Living and growing up in a house that echoes. With walls the color honey wood and real clocks with real pendulums that tick-tock tick-tock. We’d have to fashion several windows because I have found that my level of happiness is directly related to how much sunshine I get on any given day, and I want the house to be lit with as much natural light as possible. I’d put my great grandmother’s chair right there in the lving room and drape her woolen plaid blanket over the back just as it was when she was alive. Beside it I’d set a large basket filled with embroidery supplies and a mason jar of candy corn just like my Grandaddy always had by his chair to offer to kids who peered over his shoulder to see what he was up to. The yard would be even, with the perfect slope atop that hill for rolling down. Kids would find it irresistible to run in and I’m sure I’d join in as well from time to time. Each window would have to have a window box, filled with daffodils in the springtime, geraniums in the summer, and pinecones that we collect for the winter time and would use to help start fires in the massive stone fireplace in the center of it all. I could finally have those chickens I have always wanted and we’d have at least two more cats along with a friendly old lab who’d thump his tail against the porch railing every time someone came near him and dive after rocks folks threw in the pond for sport. Just think of how much my children could get away with when they grew up. 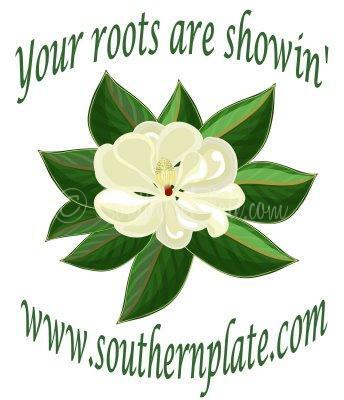 No matter what they did, they could always fall back on the excuse of “Hey, I was raised in a barn!”. Today I’m bringing you a hearty breakfast that is no muss, no fuss and made in a jiff. Folks, did you see that gorgeous pic up there? That was made in the microwave. Seriously. No skillets to clean, no muffin pans or baking sheets to wash. Get you a plate and have breakfast in under two minutes flat. I try to start my day off with protein rather than carbs and this is a great way to do it. In case any of you aren’t morning people (I am soooooooo a morning person – but married to the opposite) it might encourage you to know that you can also make it , start to finish, with one eye still closed. 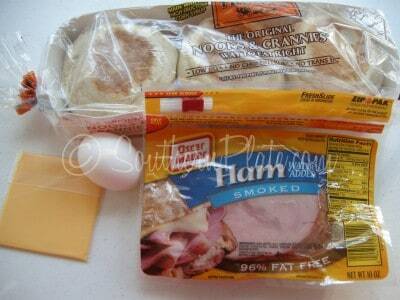 You’ll need: An egg*, slice of cheese, slice of lunch meat ham, and a english muffin. Here is where you can go crazy with the healthy stuff if you’re so inclined. They have high fiber muffins, low fat cheese, lean lunch meat, and nowadays they have eggs genetically engineered to do just about anything so just go shopping and knock yourself out. Me? I just use what we have on hand and my only preference for eggs is that whatever laid it clucks of its own accord. Another cool thing about these ingredients is that if you buy them just for this, when you run out of English muffins you got the makings for a nice little sandwich. Slice open that English muffin. If you want, you can toast it. I like to toast mine but its a toss up on any given day whether or not I’ll go to the trouble. I am somewhat in between toasters right now so I just stick mine under the broiler for a few minutes. Here is the careful part. Crack open your egg onto one of the english muffin halves. NOTE: You can also cook your egg in a microwave safe 8 ounce ramekin and then place the cooked egg on your english muffin. Try not to let it run over but if it does, don’t sweat because it is no big deal. It’ll just cook on the plate alongside the muffin and when you’re done you can scoop it back up onto your muffin with a spoon. I was just realllly being careful for this tutorial but normally – blah! Crack the egg and don’t fret. Now take the other half off the plate and microwave the half with the egg on it for about a minute. Keep an eye on it because each microwave will be slightly different. It will puff up a bit but should be done in 45 seconds to one minute. Note: I use the smallest egg I have on these to help keep so much from spilling over onto the plate. Some of y’all have wisely suggested pricking the yolk with a fork. While I don’t do this, because I’m such a wild child and all of that, its a good idea for you to to help vent the egg a bit. Then I like to put a dash of salt and pepper on mine. Now this egg will be hard cooked, not runny in the middle, just so ya know – And it won’t taste at all like it was cooked in the microwave. ooh! ooh! I got one!! from my head down to my legs! It was just one of those fifty thousand question sessions five year olds like to spring on you that sometimes go wrong. Haven’t decided when I’m going to tell her I was kidding about it yet… We were in the sun room a while ago and a squirrel clamored up onto the deck. I saw her cast this wide eyed look of expectancy towards me. Like she thought I was about to go into some mad hunting frenzy. Top with piece of cheese and other half. Slice muffin open. Toast if you’d like. 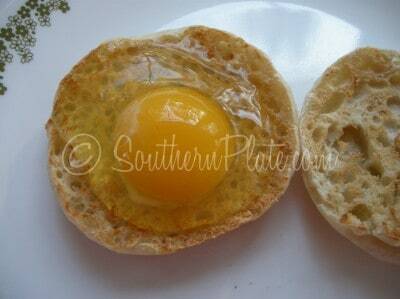 Place one half of muffin on microwave safe plate and gently crack egg open onto it. Microwave for forty five seconds to one minute, or until done. 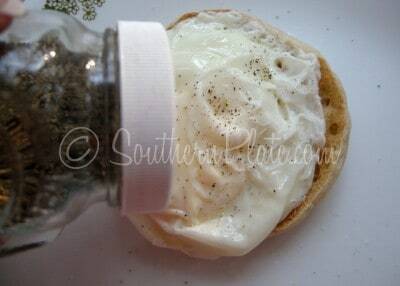 Sprinkle salt and pepper over egg to taste. 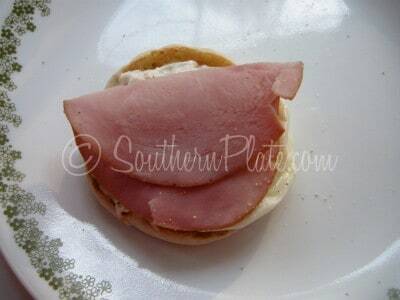 Add ham and cheese slice and replace top. Microwave another ten to twenty seconds, just until cheese melts. but when it is shared, it will be enjoyed by future generations. Submitted by Tina. I feel very strongly about this, thank you so much, Tina. What an honor it is to be when someone asks for a recipe. Please share yours with your family. I can’t tell you how many emails I’ve gotten from folks saying someone passed away and their recipes went with them. If you love somebody enough to cook it for them, love them enough to share the recipe as well. 🙂 Submit your quote here. I don’t think i could do the egg that way. Just me…I’ve never liked eggs unless they’ve been scrambled. Just don’t like the taste of the yolk by itself. BUT, I could definitely go for something this darn easy! Thanks for sharing! Oh, and I almost spit my drink out onto the keyboard when you told us the story about the chicken nuggets. And then to top it off, I just sat here and giggled for a while when I read the bit about putting whatever our critter of choice is on the muffin. I just LOVE your sense of humor. You make it so worthwhile coming to this site for more than just your cooking tips. Thanks again for everything you do for us every day! Wouldn’t be hard to scramble that egg in your basic Pyrex cup before putting it on the muffin … or use that Egg Beaters stuff that basically comes pre-scramled in a carton. You speak my thoughts, Mr. Michael. Christy, we are so fortunate to have you share with us! I love to make these for my sweet husband in the morning! 🙂 I usually fry my egg in this totally cute little frying pan made just for eggs – but I may try the Southern Plate way, it’s probably better! Wow… Yummy and easy!!!! I am so excited. I didn’t know it was safe to microwave eggs… Oh the possibilities! Thanks! Mmmmm . . . squirrels . . . taste like chicken! I grew up eating squirrel too. I think I might have skinned one once or twice. We were eating in a Chinese Restaurant one time and they had frog legs. I told my son to try a bite . . . I didn’t tell him what it was. “Mom, taste like chicken.” I finally told him what it was and he was like . . . okay. I asked him if he wanted more and he said no. Love your barn idea. I miss seeing the signs for “See Rock City”. What a wonderfully easy recipe. I love reading your posts…I can see that barn house clear as day! My boys think this is a big treat when I do this for them. I use Canadian Bacon when I can find it on sale, but I’m sure they’ll love it with ham! A barn like that would be awesome!! Thanks for the easy recipe. I will definitely try this one too! Christy..looks so good I could just take a bite! I love your description of your dream barn home..would love to sit on the porch where I could hear the screen door bang shut. That sound brings me right back to my Grandparents home in Georgia. It is one of my favorite sounds in the whole wide world! Yum! Can’t wait for this ice and snow to melt so I can get the ingredients to keep on hand. Thank you for spending your time to share your gift with us! The barn idea sounds great until I think about the heating bill. Love Canadian bacon ! I’ll buy barn houses for everyone ! Oh Kim, your last sentence just spoke right to my heart. I feel the exact same way. This world is just too fast paced and loud for my tastes. I’d much rather be on a farm out in the middle of nowhere and spend my outings visiting neighbors and playing with my kids. I’d gladly give up my tv, too, but the rest of the family would choose tv over me, I’m sure! I could do without electricity – but then I wouldn’t have all of y’all so TV is all I can sacrifice, hehe. I just love my Corelle! This is the pattern I ate on growing up. I have two other patterns, as well. My grandmother’s pattern is snowflake garland and I always feel like that is for “fancy” food because when we ate at Grandmamas she would order KFC since we couldn’t afford it at home. It was such a treat! When I was growing up, we spent a lot of time at my Grandma’s and Grandad’s. We had an old fashioned range in the “living room” with a bread oven at the side. We didn’t have running hot water either and had to boil it if we needed it. Grandad was very strict and wouldn’t have electricity upstairs because bed was for sleeping, not reading. We also had a “parlour” with a piano in. I liked this room best as it was quieter. Love the picture you left in my head of that wonderful house! As usual, the recipe looks great too! Thanks Christy!I will have to try this…. every once in awhile, I have to have a Egg McMuffin and then feel guilty….’cause I ate it. This is a lot healthier and fast. Love the squirrel story…too funny. You know, I’ve made scrambled eggs in the microwave many times, but never thought to “fry” an egg in there. Genius! Wow. Your lovely imagine is enough to make this condo-dwelling big city girl ditch the bright lights and join you at the barn house. IMAGE, not “imagine”…I’m so wrapped up in the house! Brilliant! I’m always wanting to make something like this and not be so time consuming and here it is .. thanx, Girl .. you rock! 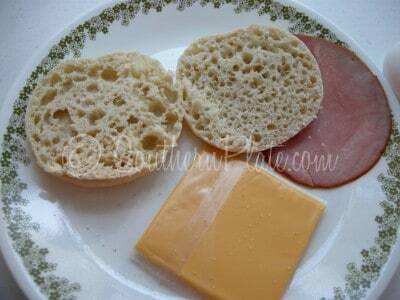 I love English muffins ~tips a hat to my ancestors~ and use turkey (critters) or ham to get a healthy jump start on our morning. My Amanda loooves this on bagels too. A sprinkle of little bacon bits and she is munching happily away on her brkfst. 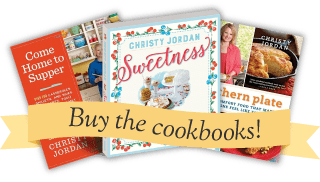 Thank you, Sista C for another recipe…..just how do you juggle it all?!?! Looove Ya! Eggs in a microwave! Julia Child must be spinning in her grave! 🙂 I watched “Julie and Julia” last weekend and there’s a cooking demo of her poaching eggs on there as a special feature! I am inspired by her devotion to food, but unless I win the lottery or get an inheritance from a long, lost relative (for real, not the Nigerian email scams) and can stay at home full-time, I will not be buying Mastering the Art of French Cooking and working my way through it! Ooh Christy – I can perfectly picture your barn in my mind. How lovely it is, too. I can just imagine you’d also have cold glasses of tea and homemade lemonade to sip whilst in the all too necessary rockers on the porch. 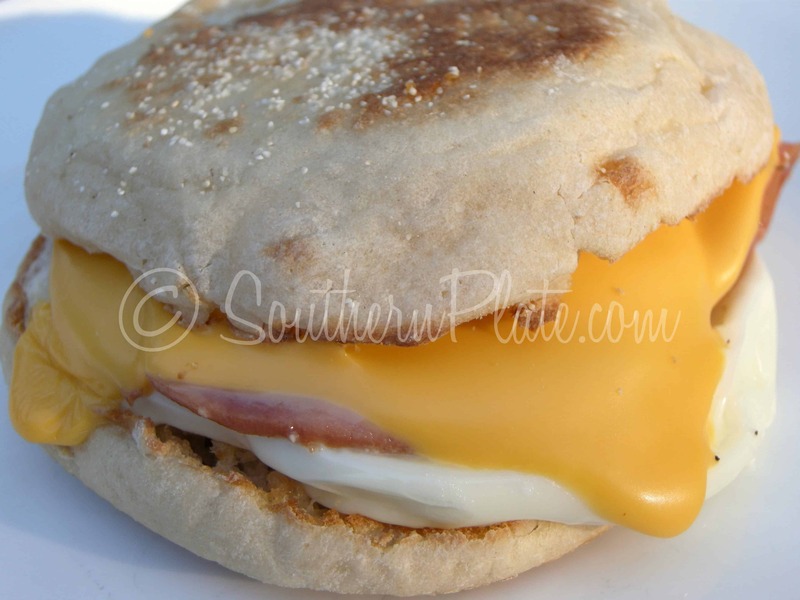 As for the recipe, hubby normally gets a bacon egg and cheese sandwich on white bread for breakfast, but I think I’ll buy some english muffins on my next trip to the store and switch it up a bit for him – they look yummy! I had no idea you could microwave an egg!?!?!? This is life changing stuff for my household!! Thanks Christy!! I have a teen boy who rushes out the door without any breakfast on most days – this is absolutely perfect for him! 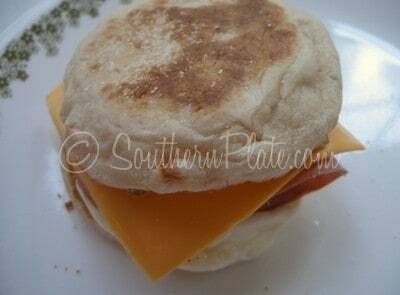 I hate buying those frozen breakfast sandwiches with chemicals and preservatives, and they heat so unevenly. The bagel idea is great too…we will try it both ways, either way I’m sure it is a WINNER! Thanks again Miss Christy! Perfect timing! I was hungry for breakfast food! The barn house sounds idyllic as I am all about country. I would never have the slightest desire to live in the city. I guess we all have a fantasy house in our heads. I always wanted a brick two story house with a big front porch. I have owned three homes and they have all been the stereotypical three bedroom ranch. Don’t get me wrong-I am blessed to have a warm dry house , but just pretty much uninspired. By the way did anyone ever discover why some of the posts are so delayed? I just got mine and notice by the times and date of the early comments that I am very near to being a full day behind. This only started recently and I read other comments that mentioned the same thing. The delayed part is all me, sorry about that! I try to send my posts out in the mornings, before lunchtime (keyword here is “try”) and here lately I’ve just been so busy that sometimes I don’t get them up until late afternoon or evening. This one I got together yesterday. I haven’t been sending them out if I get them up later in the day because I figure there is a better chance of them getting lost in the inbox so I try to wait until the following morning and get them out while folks are still bright eyed and bushy tailed! (as my mom used to say). Would you rather I just send them out when I get them done, regardless of time of day? I really have no preference, if y’all would rather I do it that way! There are also times when I get a post up and have to rush out the door right after so at those times I wait until I have time to get back and read over the whole thing again just to make sure there aren’t any major errors before I hit send to a few thousand people, lol! About a year ago I was using a service that sent the moment I posted but then one day Google decided to change my feed address and my service automatically picked up the new address and the computer thought I had just posted all of that month’s articles again! In the course of about ten minutes, several thousand people received around thirty or so emails from me. I was horrified because I try to be so careful with y’alls time and trust. So ever since then I do it manually. Nothing gets sent out until I log in and write up the email I want to go out, send a test copy to myself to go over, and then go log back in and hit send. Darlin’, do what works for YOU! It’s a treat to read you in the mornings but it would be a treat to read you any time of the day. Suit yourself, please – we’re happy to get you anyhow, anyway, any time of the day! Oh Christy I love, love, and more love your barn house vision. I have it too! Someday Christy. If I was to win the lottery I would be barn hunting! Done already preferably or close to it would be great! Thanks for all your great recipes. I use them each week for our weekly menu planning. Actually this month I think your recipes take up much of my calendar! Keep it up and keep them comin! I have the same dream of living in a barn. I would love to find one that was not so run down and reasonably priced but those seem to be few and far between. You didn’t prick the yolk? I thought I’d read somewhere that they would explode if you didn’t. Just curious. I don’t prick the yolk but that’s just me. You certainly can though, it definitely won’t hurt. My egg puffs up a bit right before it is done and then I just take it out of the microwave. I’ve never had one explode but then again we’re really just cooking it for barely a minute. I went back and added a note about pricking. thanks y’all!